Randy Rogers Band won’t release their forthcoming album Hellbent until April 26, but that’s not stopping the Texas act from giving fans an early listen. Their eighth studio album borrows its title from Guy Clark’s “Hell Bent On a Heartache,” which the band covers on their upcoming project and Billboard premieres below. Hear “Hell Bent On a Heartache” from the new album Hellbent, available April 26 by clicking here. “If it wasn’t for Texas, there would be no Randy Rogers Band,” jokes the band’s frontman, and while Rogers is mostlymaking a wry George Strait reference, it’s also the truth. For Rogers and his bandmates, it all started in Lone Star State dives and dance halls, and their ceaseless touring over the last two decades has built an army of die-hard fans. Their new Dave Cobb-produced album, Hellbent, out April 26, capitalizes on the chemistry of those live shows—”Crazy People” is a nod to Rogers’s conservative upbringing, and the Guy Clark cover “Hell Bent on a Heartache” seems destined to become a set-list staple. Meanwhile, “Comal County Line,” which G&G is excited to exclusively premiere, is a love letter to the Texas community that birthed them. “Being on the road, I missed home so bad,” says Rogers, who penned the track with fellow country songwriter Sean McConnell. “On those long bus rides, time just drags on and on and on. ‘Comal County Line’ was about going back to where we live, and where we love.” Read the full article and listen to our song “Comal County Line at GardenandGun.com. Click here to pre-order our upcoming album Hellbent out April 26! Randy Rogers lets his imagination run wild while looking back on a straight-laced upbringing in “Crazy People,” the loping new single from his band’s upcoming LPHellbent. Though written by Brad Clawson, Jamie Paulin, and Will Weatherly, “Crazy People” hits close to home for Rogers, who had a devout upbringing in the small town of Cleburne, Texas, outside Fort Worth. Against a sawing fiddle, he juxtaposes childhood memories of the outside world with his mother’s admonitions to pay other peoples’ sinful ways no mind — but then stumbles across an old photo box that changes his perspective on his parents. From his adult perspective, Rogers can identify with both realities, having also grown into the life of the “heartbreaking, money wasting, hell raising, crazy people” of the song’s chorus. “As the son of a preacher, I lived this song word for word. And yes, I’m a little crazy too,” he tells Rolling Stone Country. Read full article and hear “Crazy People” on RollingStone.com! The idea started with a brush fire, but before long it took on a life of its own. Two lives, in fact: Coal and Flynt Stryker, a pair of mysterious siblings who died in a prison fire, leaving behind a batch of long-lost country recordings. Except that they didn’t. Cole and Flynt never even existed. The Stryker Brothers were nothing more than an excuse for Robert Earl Keen and Randy Rogers to make an album together. So why did they go to all the trouble? Keen and Rogers are preparing to take the stage for the first — and as far as they know, only — time as the Stryker Brothers. And they likely never expected to get this far. Since they started writing the 13 songs that became Burn Band, released last September, they constructed an elaborate backstory, had friends like Todd Snider, Bruce Robison and Shooter Jennings lie about it on video, and even brought an astronaut with them to tonight’s show. But none of that was the plan when they started. Read the full article at RollingStone.com. NASHVILLE, Tenn. (Jan. 21, 2019) — Randy Rogers Band announces the release of its new 11-track album Hellbent on April 26. Produced by four-time GRAMMY-winner Dave Cobb, Hellbent marks the band's eighth studio album in almost 19 years, offering another dose of high-octane country music fueled by the group's unique brotherhood, deep history, and fearless spirit. The band’s first single “Crazy People” — at radio on February 15 — reflects a unique aspect of Rogers' life growing up. 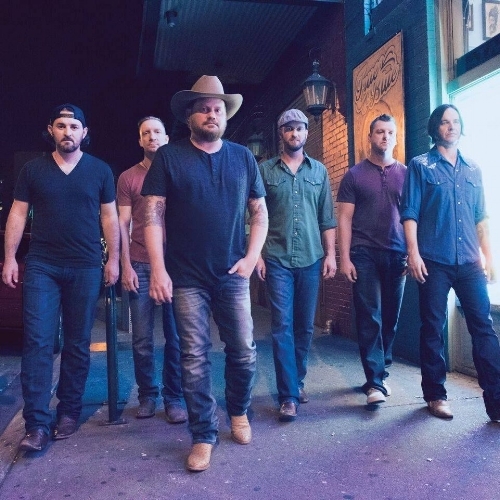 For nearly two decades, Randy Rogers Band has featured the same lineup. This makes the group an anomaly in a business where bandmates come and go. What's even more rare is Randy Rogers Band's homegrown success on the road, where the Texas-based musicians have built a diverse, loyal audience that stretches far beyond the limits of their home state. Last year alone, the “perpetual live favorite” (Rolling Stone) played sold-out shows coast-to-coast in Chicago, Los Angeles, New York, Boston, Seattle and more, with more than 50 shows to over 60,000 fans outside of Texas, and earned more than 97 Million Pandora Spins in 2018. Hellbent builds upon that remarkable growth, capturing the energy and collaborative chemistry of the band's live performances over nearly a dozen studio tracks. "The guarantee of good music and a good time is what keeps fans coming back," writes the New York Times, noting the shared passion between Randy Rogers Band's six members. Another longtime fan of the group is Cobb, (Chris Stapleton, Sturgill Simpson, Jason Isbell, "A Star Is Born"), who recorded Hellbent at RCA Studio A in Nashville. Hellbent offers the full range of Randy Rogers Band's countrified attack. On "You, Me and a Bottle," Rogers delivers a love song to his wife. On "Hell Bent On a Heartache," he tips his hat to songwriting idol Guy Clark, who wrote the track alongside Chris and Morgane Stapleton while "Wine in a Coffee Cup" paints a detailed picture of a high-powered woman taking on the business world. There's humor, heartbreak, twang, and classic storytelling, all performed by a band of lifelong collaborators and co-writers whose chemistry has only deepened with time. Hellbent also represents the latest chapter in Rogers' multi-faceted career — a career that's made good use of his musical and business skills. A college graduate with a degree in public relations, Rogers is also the co-owner of several Texas venues, including Cheatham Street Warehouse in San Marcos, Texas, where George Strait began building a fan base in his early career. Additionally, he's a founding partner in Big Blind Management, steering the careers of Red Shahan and Parker McCollum along the way. 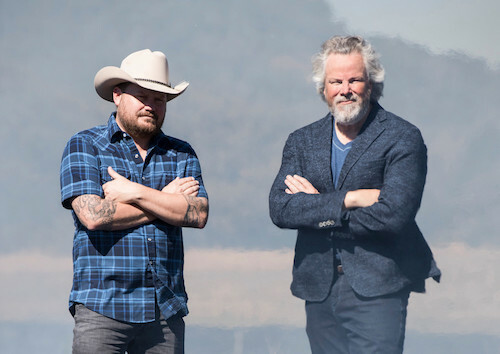 A fan of collaboration both inside and out of his own band, Rogers has partnered with friend Wade Bowen on the infectious Hold My Beer projects and joined forces with Lone Star legend Robert Earl Keen as The Stryker Brothers. He recently joined Lyle Lovett, Willie Nelson and Jerry Jeff Walker to sing on Michael Martin Murphey’s Austinology album. With Hellbent, though, Rogers returns to his primary priority: the band’s own music. *Additional dates to be added. For tickets and an updated tour schedule, visit randyrogersband.com. The Lone Star state can proudly claim some of the most talented musicians in country music. These artists have created loyal followers that regularly attend live shows throughout the state and of course tune in regularly to listen to their favorite songs on radio stations in Texas and beyond. 1. Randy Rogers Band: This Red Dirt music band includes members Randy Rogers, Geoffrey Hill, Jon Richardson, Brady Black, Les Lawless, and Todd Stewart. With seven studio albums and two live albums under their belt, this band, which originated in San Marcos, is true Texas country. Get the full list and read more at WideOpenCountry.com.